Just a little context for this verse is helpful. In this passage, Jesus is nearing the time when he will be taken into custody, sentenced, and executed. He had spent about three years traveling and ministering to and alongside his disciples- teaching and preparing them. In the scene above, Jesus and his disciples were gathered for the Feast of the Passover. It would have been customary that when a visitor had guests, they would have arranged for their feet to be washed upon arrival. But because the room was borrowed, there was no one to arrange a washing. Also worth noting, washing of feet was a task for people of very low social and economic standing- usually the role of a servant. I can imagine the disciples milling about not even considering that any one of them could have, in fact, assumed the servant role. After all, there was a job that needed to be done and no one there to do it. Yet, there was. The only person to act with the humility required to descend to the floor and assume the servant role was Jesus, the one whom they had all committed to following. And in doing so, he invited his disciples to consider that the role of a leader is really a position designed to serve others rather than a position designed to serve as an instrument of self elevation. Without going further into the story (and I do believe there is a lot of theological depth to plumb here), what can we glean from this account? We learn that leadership isn’t about subjecting others to the demands of one’s own needs or supporting one’s own elevated status, but instead quality leadership is about opening avenues of provision for those individuals whom you are leading. May the God of Peace be with you all. 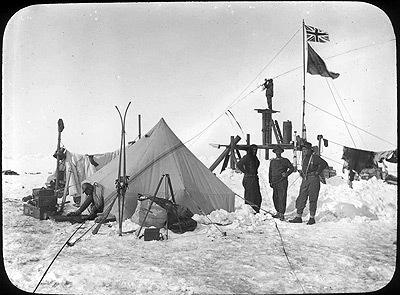 One of my favorite leadership stories ever to be documented is that of Sir Ernest Shackleton and the Endurance Expedition, which took place from 1914-1916; perhaps you are already familiar with it. It is a success story set inside a spectacular failure. The expedition never actually achieved what it set out to accomplish- to sail to and traverse the continent of Antarctica (2000 miles). The Endurance and its crew never even reached the continent before it became surround and locked in by sea ice. Eventually, the ship was crushed by the ice and sank to the ocean floor. 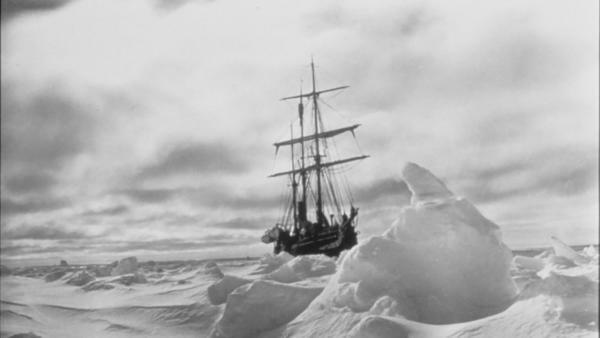 To condense the story, Shackleton (the expedition leader) and his crew of 27 men abandoned the ship and survived a harrowing 11 brutal months (5 months floating on the sea ice and over 6 months on a tiny barren island) before they were finally able to initiate their own rescue... which involved Shackleton and a portion of his crew navigating a 22 foot long lifeboat through some of the roughest seas in the world over the course of 15 days using only a sextant to find an island 800 miles away that is only 100 miles wide at its widest point. After arriving on the island, the men had to traverse technical mountain terrain with no mountaineering equipment in order to reach a whaling station on the opposite side of the island. And all of transpired without loosing a single member of the crew. This story might, at first seem a little difficult to relate to for our leadership contexts. But when you consider the nature of all the variables, I think we can find an abundance of relevance. For example: the sheer volume of opposition that challenges posed, the complexity of environmental and interpersonal variables, the unfamiliar terrain, limited resources, and the real life stakes of charting a right or wrong course ... just to name a few. Whether metaphorically or directly, these are all familiar dynamics in today’s leadership landscape- in our homes, our neighborhoods, our social communities, our churches, our local governments, our nation, and our global community. While there are more specific lessons to be extracted from this remarkable display of leadership, I would like to highlight just one simple value we can mine from this story. And that is hope. The crew of the Endurance faced overwhelming odds- some of them outlined above. Yet, they persisted in the task of coming through it. It is difficult to imagine that level of persistence being possible without deep stores of hope. We all face challenge and opposition in our leadership roles. At some point, if we are being honest, I think we could all think of a time we considered throwing in the towel when the going got truly difficult. But hope can pull us through. Hope can motivate and empower our faculties towards their fullest potential. Hope can be a defining asset in the midst of great difficulty. So my parting offering is this: next time you find yourself up against the odds in a leadership role, look out beyond the odds. Seek perspective. Set your eyes on that greater thing towards which you are striving. Let it fill you with hope. Let it draw you forward. The plan was to get the kiddos out for a day of climbing. My two daughters (ages 5 and 7) were excited to share this experience with their cousins (ages 7 and 9) who were in town for a visit. We were to go out to the chimneys Such outings require a good bit of preparation. As a parent, I am no longer responsible only for myself and my own comforts in the backcountry, but I am also responsible for my children (and in this case my niece and nephew as well). And this parental responsibility takes on many different and unique challenges with any outing, much less those taking place in the backcountry. The central dimension from which these varied challenges emerge is that of emotional regulation. The capacity for humans to tolerate discomfort and challenging circumstances is directly linked to our ability to regulate our emotions. This capacity for emotional regulation is developmentally grounded, meaning that infants are less capable of regulating their emotions (and more dependent upon external “parental” soothing actions to regulate their emotions) than 5 year olds, who in turn are less capable of regulating their emotions than teenagers, and so on. What this means for me as a parent taking kiddos into the backcountry is a recognition of just how fast a backcountry outing can go south. By its nature, backcountry travel involves exposure to many different elements that are beyond one’s control. Vast fluctuations in temperature; the potential for rain, snow, ice, and/or electrical storms; insects and animal life; as well as the challenge and difficulty of terrain all reflect the dynamic and shifting nature of the backcountry environment that is beyond one’s control. In fact the value and allure of a backcountry outing is precisely that it takes us out of controlled environments (like the climate controlled house) and places us in the environment which is beyond our control. This outing is itself an opportunity for these kiddos to push their limits, to develop the emotional girth to handle difficult circumstances beyond their control, to develop their capacity for emotional regulation. This critical skill of emotional regulation will serve them well in life as it is a transferable skill they will utilize in their future work, relationships, and engagements in the larger community and society. But the value of such an outing depends upon the balancing of these challenges with necessary structure and support. The goal of such a backcountry outing is to take these kiddos just beyond their comfort zone, but not so far that it puts them in a panic zone. This is what Vygotsky called the “zone of proximal development.” With so many uncontrolled variables at play, the parental role of keeping the challenges of backcountry travel within the kiddo’s zone of proximal development can be rather complex. Preparation is key. In preparing for a backcountry outing, I as a parent have the task of ensuring that we have what is needed… not according to my own ability and comfort, but to that of the youngest child in the group. I not only dress myself for the outing, but make sure each kiddo has dressed and packed their clothing appropriately (including a rain jacket, warm hat, a change of clothes, and appropriate shoes for hiking/climbing). I also must pack food and water for all kiddos embarking on our adventure, recognizing the fact that children need food more regularly than adults, particularly in times of stress. Finally I must also prepare for those times when kiddos are on the edge of a meltdown, when they are heading into the panic zone. I need tools for being able to support and soothe these kiddos in such challenging or scary times. For these times I always bring a special treat, perhaps a bar of chocolate or other item of comfort for children. My ace in the hole here is a bullet thermos of hot chocolate, but I often will bring both hot chocolate and a bar of chocolate to share. This has worked miracles for me when adventuring in the backcountry with these kiddos… in snow, in rain, after 5 miles of hiking, and more. So we packed accordingly, prepared and ready for whatever weather may present itself. The morning of our outing was wet but with the possibility of clearing up. We packed everything, each kiddo with their own small pack of clothing and water, and me with all the climbing gear and food. My dad and sister were coming too, so it was a full on family outing. Upon our travels to town we realized that the rain would continue and there’d be no access to dry rock that day. We eventually changed plans, going for a 2 mile hike in the morning hours followed after lunch by climbing at Center 45. All in all a successful day, with adventure, fun, and time together as family. And plenty of opportunity for me to grow in my own emotional regulation as I engage in the adventurous and challenging, but always rewarding, role of parenting. I love this question because it is an incredible opportunity to get right to the heart of our mission, and ultimately, the work for which we are purposed. To take a small step back, I’ll first define how we at AML view leadership in general. We understand leadership as, fundamentally, a process of influence. And in that sense, leadership is neutral- having both the potential to be either positive or negative. This is why we specify the type of leadership that we aim to foster and inspire. 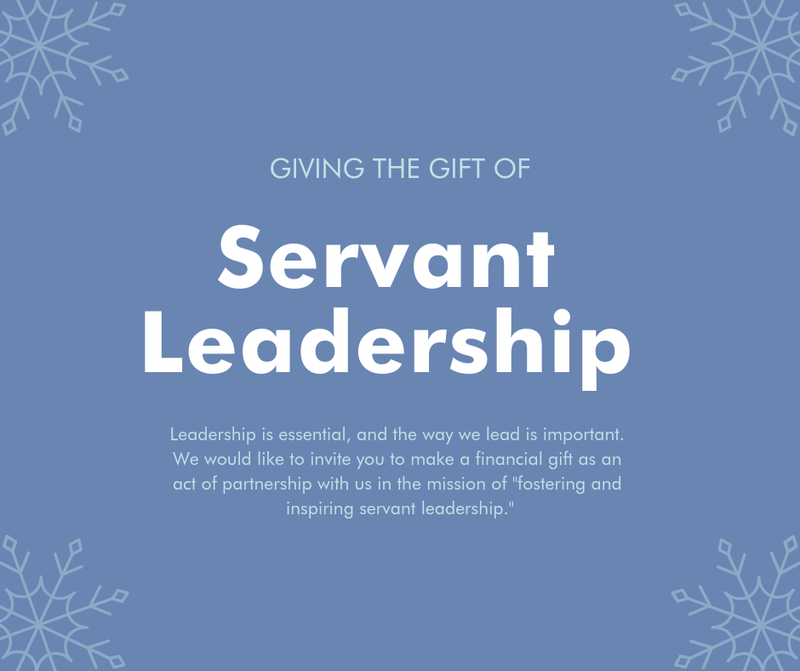 Servant leadership is a perspective of leadership in which the primary aim of an organization or person’s influence is to advance others. It is influence which specifically places the interests of others at its core. You are looking through a “stewardship lens” when it comes to the management of resources such as money, time, and relationships. Leaders typically have access to a relative abundance of resources. Those resources can be physical in nature (such as an operating budget or a supply of equipment) or less tangible resources (like a rolodex of experts or years of personal experience). A stewardship lens helps you to perceive your wealth of resources as opportunities that exist for strategic dispersement to your team… not hoarding. The stewardship lens helps a leader see that their resources are simply entrusted to them for a time. You have a robust and sincere interest in the people you are leading. This doesn’t mean that you will be fast friends with everyone on your team… even if your team is of a size where it is theoretically possible. But having an interest in someone (wanting to know what they like, what they don’t like, and what really motivates them) is good evidence that you care about them. And it is very difficult to put someone’s interests at the core if you haven’t even been motivated to discover their interests. You appreciate receiving feedback from those whom you are leading, especially the constructive kind. Often times, we don’t receive feedback well, particularly when feedback is of a constructive nature. Why is this? Lot’s of reasons really, but I can say from personal experience that one significant reason stems from our desire to self protect- whether it is protecting a reputation, a title, a position, a set of actions, or (fill in the blank). While I’m not advocating a perpetual posture of being a doormat, it is important to recognize that it is very difficult to be proactively advocating for others while consumed by the task of advocating for, or defending, yourself. Do any of these assessment areas resonate with you? I have been rock climbing for 15 years, and I can confidently say that climbing is exciting. Sometimes climbing excites an individual in a way that encourages more climbing- towards enjoyment. And sometimes climbing excites an individual in a way that deters them from future climbing experiences- towards fear. Most of the time it’s a little of both. Of course, the nature of how a rock climbing experience is facilitated will have some influence on the type of excitement felt. At AML, we work with a lot of first time rock climbers, and we take great care to craft positive climbing experiences that result in an increased desire to participate in climbing. Either way you slice it though, rock climbing is a powerful experience; you may even say sensational. Which brings me to the title of this blog post. When we utilize rock climbing in our programs, we do so not (primarily) for it’s sensational value but for its transformational value. Rock climbing, as we facilitate it, is an experience which generates a level of challenge that peels layers back. The challenge inherent in the physical act of climbing, the necessary cooperative participation in a team, and the interaction with new technical systems provides an ideal environment to edge out of the veneer that we unknowingly, or even prefer to, keep up. To paraphrase MLK, the true measure of a person will be found not in moments of comfort but in moments of challenge. Sometimes we never know what strength, longing, conviction, searching, compassion, or desire is truly in our core until we peel back the doubt and insecurity that we’ve spent years piling on. We spend hours, days, and years addressing symptoms without ever digging down to discover the underlying cause. In a relatively short amount of time, we can fully utilize rock climbing as an instrument for encouraging participants to search themselves in a profound and transformational way. The sensational value of climbing is merely icing on the cake of self discovery and community awareness. "Leadership starts on the inside," is one of the most foundational truths for anyone aspiring to lead others. The best leadership tools and strategies in the hands of a leader who hasn't examined herself or himself will always produce a mere shadow of the leadership potential that she or he truly has. It is not an accident that "Increased Self-Awareness" is the first of our program outcomes. Asking individuals to exercise their influence on others (and even equipping them to do so) without having first given them the chance to articulate their personal sense of purpose, vision, and direction would be trending towards recklessness. Only out of an understanding of our personal sense of purpose can we then have the proper footing from which to be of service to others. Without taking the time to do this, we will be adrift in our attempt to become effective leaders. Another way to look at this is that self awareness serves as a filter through which we make our directional decisions in life and leadership. And we need a filter. Surely, there are so many things- good things and bad things- that we can choose to serve as leaders. So how do we choose what exactly to say yes to? I suggest saying yes to those good things which are also in line with your personal sense of purpose and vision. Can you articulate what that is for you? What is your personal sense of purpose and vision? AML Instructors do wear an official and designated leadership role... "Instructor." But we all know that there is nothing in the title that grants special power. Granted, there is often a very narrow window of time when a group first arrives where the title "Instructor" will bear a bit more weight. But we know that the youth and adults we serve are formulating an impression of our Instructors from the moment they get off the bus or step out of the car. Our participants are discerning whether or not this person is knowledgeable, trustworthy, caring, up to the task, and worth following. If we sent an Instructor into the field who wore the title, "AML Instructor" but lacked knowledge, integrity, love, and proficiency, he/she would not be an effective leader. We know that the title "Instructor" isn't the sufficient credential to be able to provide leadership throughout a one, three, or fourteen day program. Because the truth is that anyone could be assigned the title "Instructor." At AML, we identify our "Instructors" when we see the true credentials manifested in their work and life. Our Instructors are leaders before wearing the title of "AML Instructor." Identifying them as such is simply a sign of confirmation of their effectiveness as influencers and educators as well as our commitment, as an organization, to continue investing in and building them up. So look around you, at the designated and appointed leaders you are following. Examine yourself in your own designated and appointed leadership roles. I encourage you to spend some time identifying the true credentials that make them/ you a leader in these roles. How much do they/ you rely on the title? How much is the title a confirmation of their/ your underlying abilities and intention?